Hey everyone! 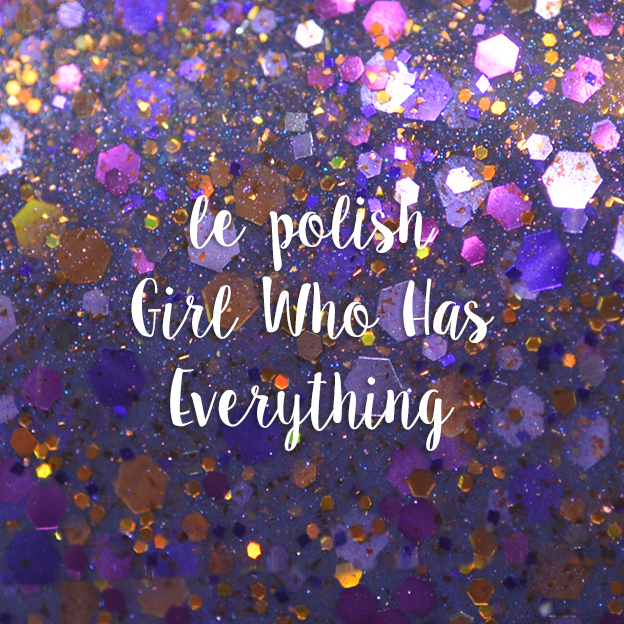 I'm so excited to share a new-to-the-blog brand called le polish with you all today. 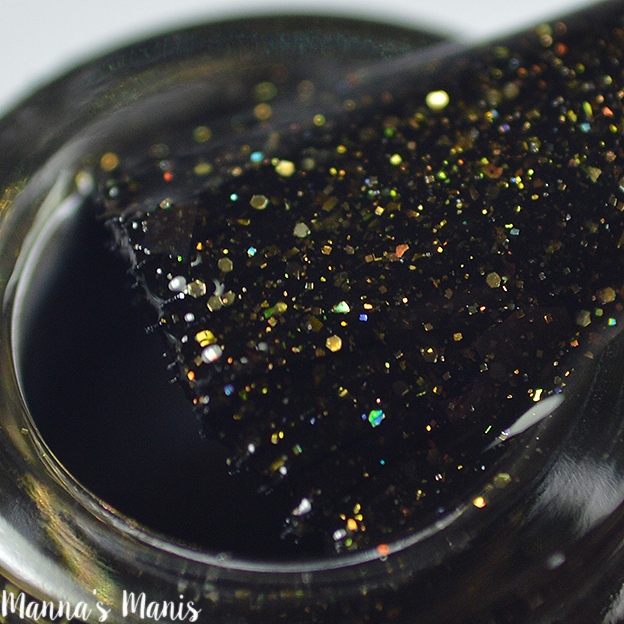 le polish turns ONE on October 15th and she is releasing a limited edition polish as well as a duo inspired by a drawing by Andrew Tarusov called The Dark Mermaid. Allison is also unveiling a new logo and bottle shape for her one year anniversary, check em out! 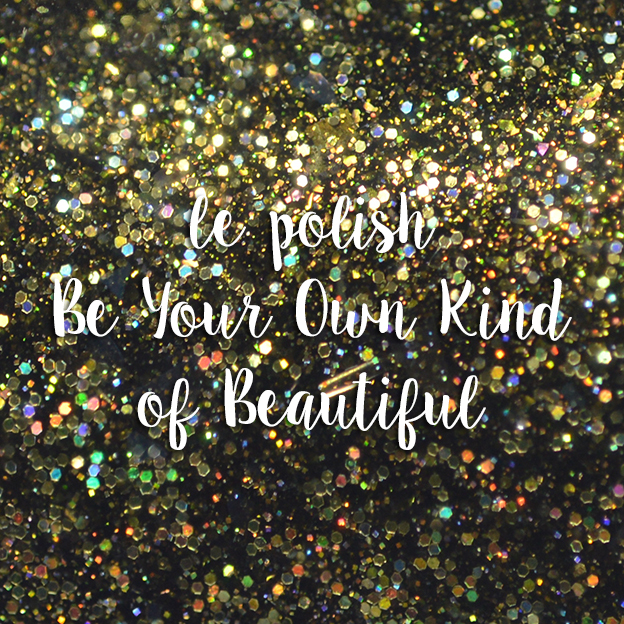 From Allison: " Be Your Own Kind of Beautiful is le polish’s new slogan. You will find it stamped on all packages. We are all beautiful in different ways and that should be celebrated! 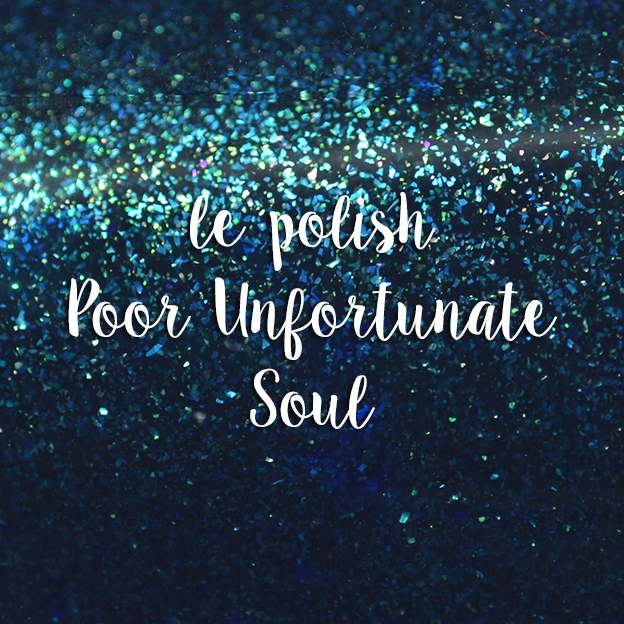 I have met so many amazing people on this polish journey and everyone has shown me such kindness and beauty – both inside and out!" Inspiration: What if Tim Burton directed classic Disney movies? Creepy Ariel isn’t collecting forks and pipes, she collects the souls of the humans she desires. 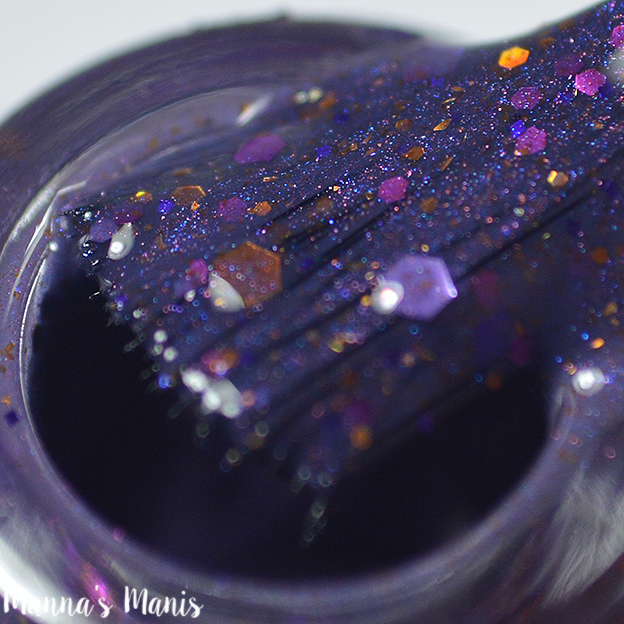 Description: a dusty purple with a collection of purple, magenta and copper metallic and holo glitters. 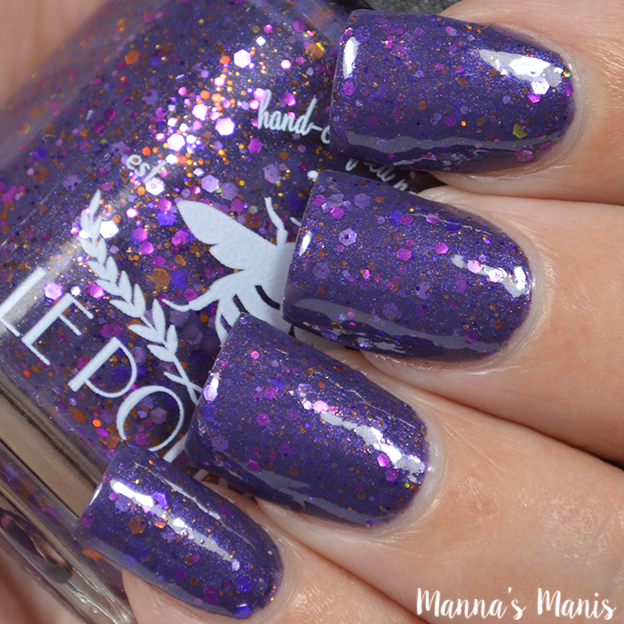 Application & Formula: Good formula, glitters slightly clumped on nail when applying. Dries slightly matte. Inspiration: What if Tim Burton directed classic Disney movies? After Creepy Ariel collects her souls she keeps them in the deepest darkest ocean cavern, never to be seen again. 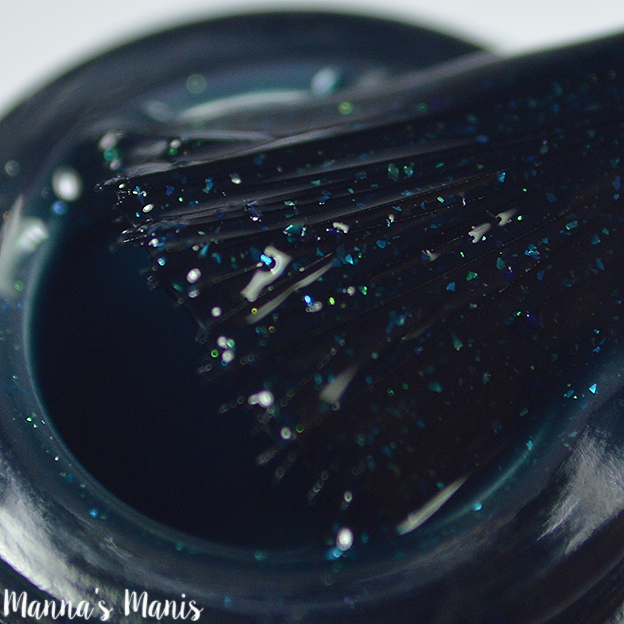 Description: a blackened teal with loads of turquoise and green sparkle and shimmer. Application & Formula: Good formula, easy and smooth application. I did notice some slight staining upon removal. Dries slightly matte. Final thoughts: The anniversary polish is lovely, the winner for me though is the duo simply because I am OBSESSED with everything The Little Mermaid. On my shelf I have an Ariel statue as a zombie, and right beside it a beautiful and eloquent Ariel statue. I have so much more stuff, but those are my favorite things. I think Allison captured the inspiration behind the photo perfectly! The First Anniversary Celebration will begin on October 1st and continue until October 15th. There will be a sale and three different giveaways to celebrate, so be sure you are following le polish on social media so you don't miss out!